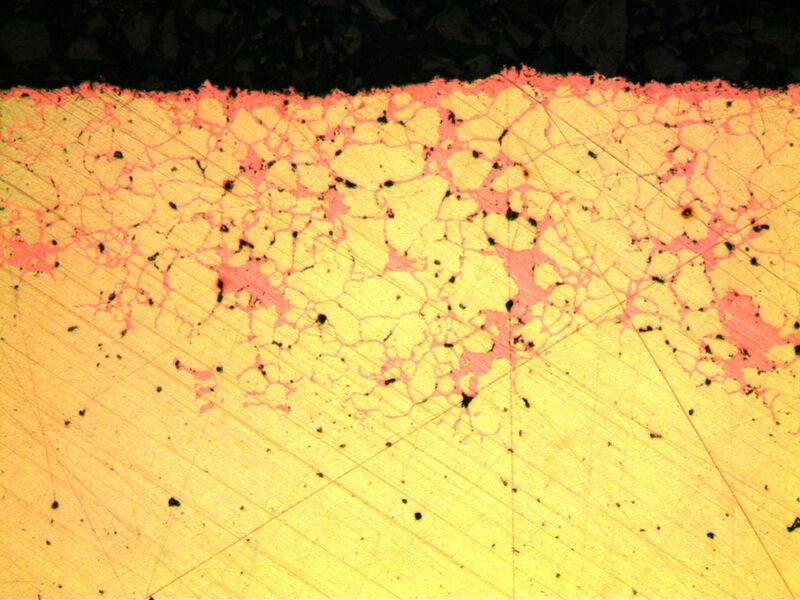 The method is very fast and effective when it comes to studying for example the microstructure of steel, coating/layer thicknesses or dezincification of brass components. 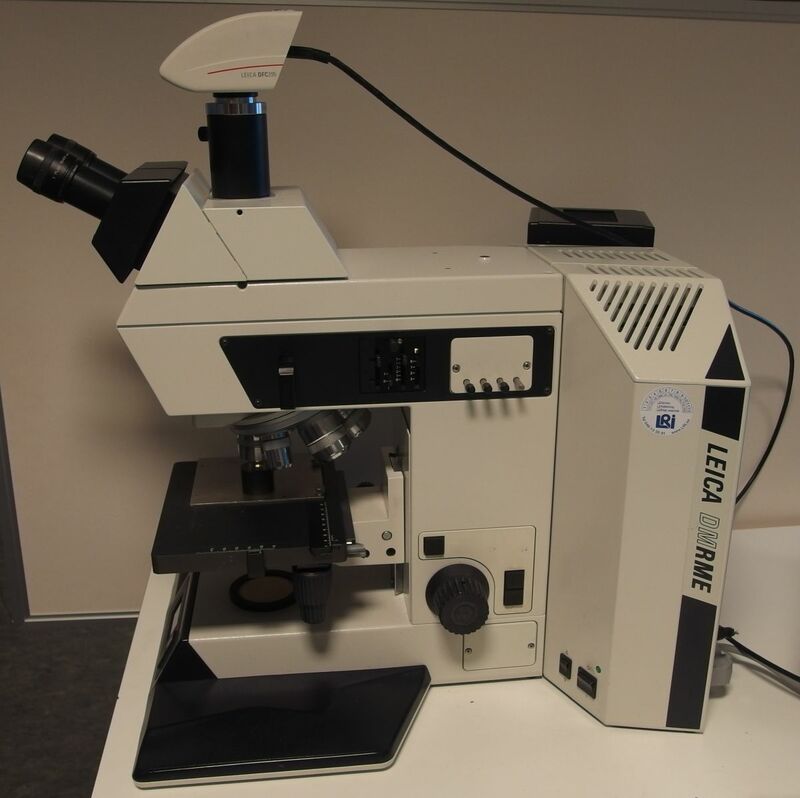 The microscope which is used by CSI Nordic easily obtain images up to 1000x magnification. In combination with image analysis we are able to quantify the fraction of phases, determine porosity and measure grain size. Light optical microscopy image of dezincification of a brass tube. 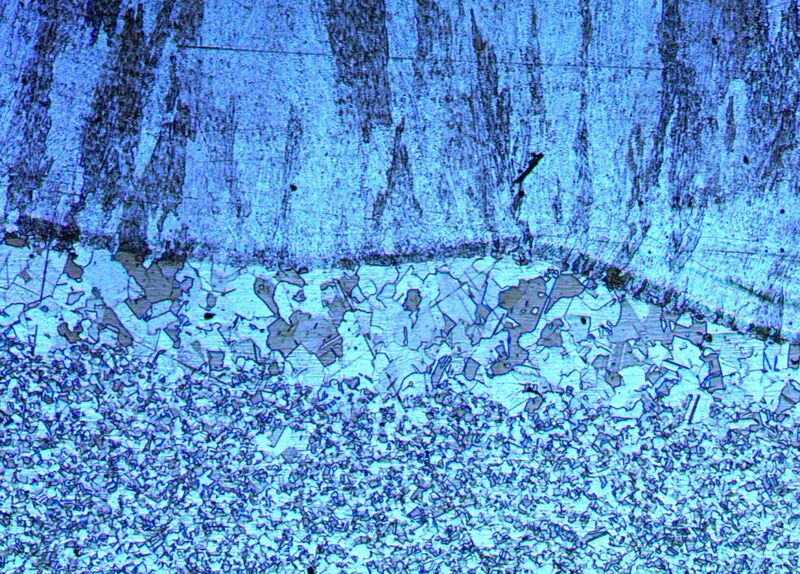 Light optical microscopy image of welded steel.